Each year Riding Into History presents a special display reflecting the show’s theme. We are featuring competition motorcycles in 2018, and actually have two related displays. 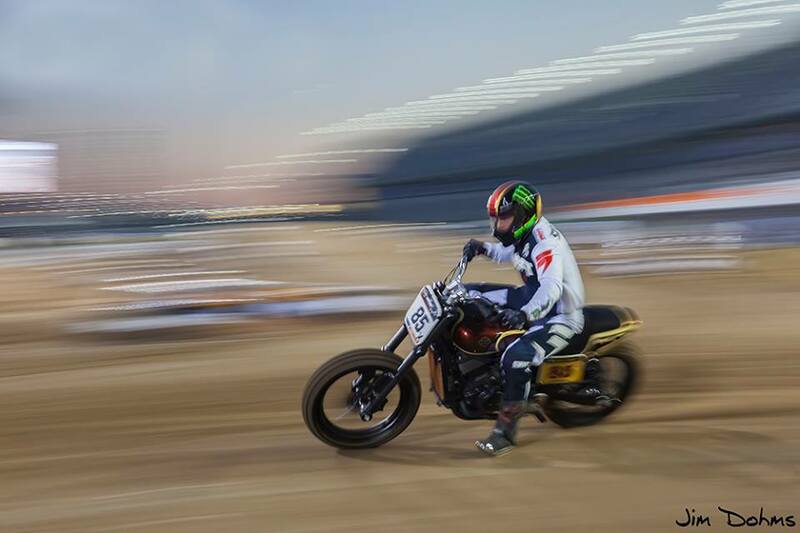 Separate from the other racing equipment, there will be a selection of Harley-Davidson XR750 flat track racers. 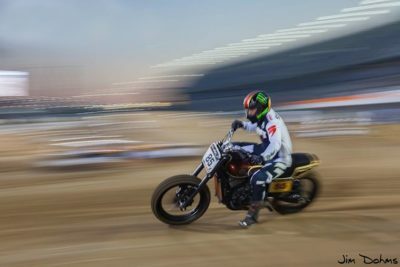 The XR750 is the iconic, prototypical flat track racer, having been competing successfully for nearly half a century. They are also central to the legacy of our 2018 Grand Marshals. Bill Werner has spent virtually his entire career nurturing the XR750 and tuning it for the some of the greatest riders in history. Scott Parker, riding Werner tuned bikes, won seven Grand National Championships. In honor of our late great friend Barry Boone, long time AMA flat track racing announcer and XR750 aficionado, we will present an award to one the displayed bikes. Our second display, positioned adjacent to the XR750s, will be Sons of Speed board track racers. Before WWI board track was the most popular form of racing in America. Tens of thousands turned out to see the spectacle of the fastest racers in the country. It was also frightfully dangerous, for spectators as well as racers; it did not last long, but has long been remembered for its gladiator like atmosphere. A few years ago, Billy Lane decided to honor and continue the history of board track, but in a safer environment. 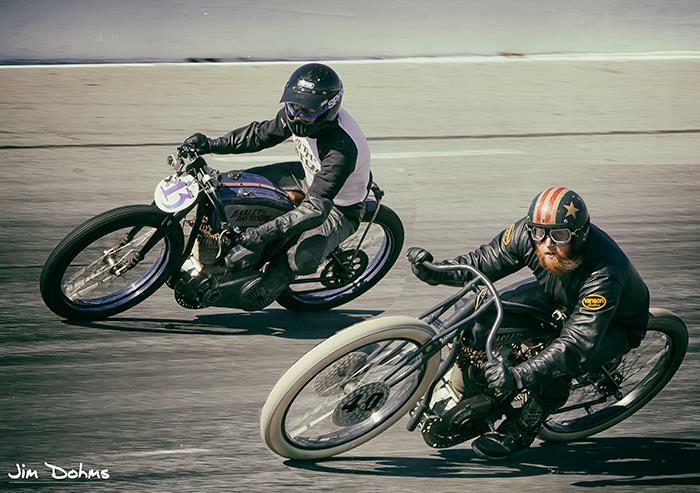 The Sons of Speed race bikes with antique motors resembling the original board trackers, but on the New Smyrna half mile track. Entrants from around the world have come to New Smyrna twice a year to ride their handmade racers. We are fortunate to have quite a few of these motorcycles in our Sons of Speed display. They are worthy of taking a long look to see how antique parts and some more modern technology have been blended to create unique, very specialized racers. Directly across from the displays, you will find a small, varied selection of motorcycles. These are the Hagerty Youth Judging bikes. Our sport needs to nurture younger enthusiasts, so for several years now we have assembling motorcycles for young folks to judge. We try to create a sampling of types for the judges to examine and score, giving them a bit of exposure to each variety of vintage motorcycle. This group of bikes is notable as most are previous winners and are not to be missed.